Home » Blog » What Are Optical Illusions and How Do They Work? 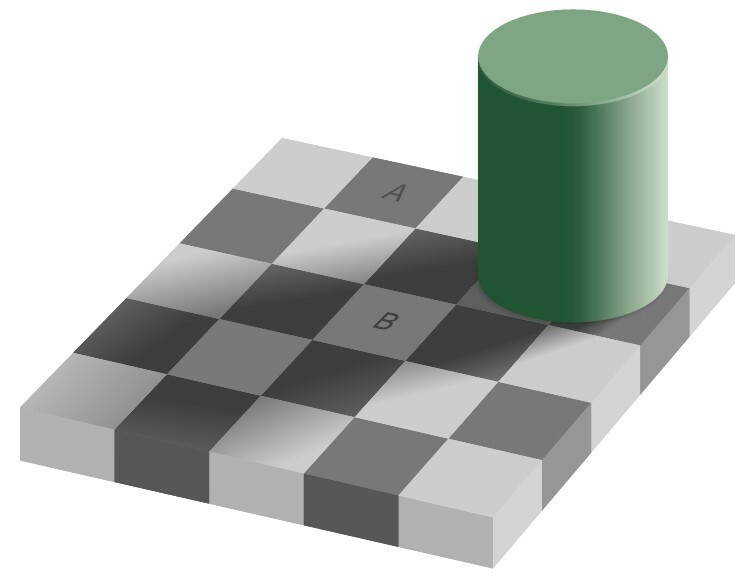 We’ve all seen various optical or visual illusions over time, whether it’s the famous checker shadow illusion or even the impossible triangle. But how do optical illusions actually work? Is it our eyes themselves which are fooling us, or the way our eyes are perceiving reality? These illusions are created when our eyes perceive an image and our mind fills in gaps that don’t actually exist creating an image that’s different from the object that makes them, or focuses on specific areas of the image resulting in us “seeing” something that isn’t actually there. 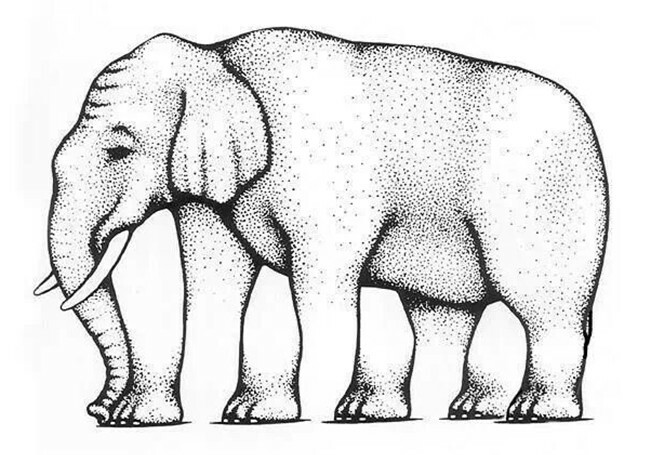 In the example here, since our eyes uses the edges of objects to distinguish what that object is, we see that the elephant has a multitude of legs. This also occurs when our brain creates images of faces in the clouds, or in everyday objects. These are caused when we have an excessive amount of stimuli for a certain period of time (brightness, colour, flashes etc.) and the affect it has on our brain or eyes. 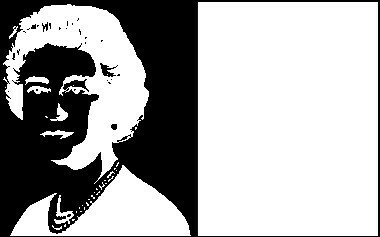 So take a look at the image below for a minute, and then take a look at the blank space while blinking. Due to our eyes exposure to the image, the retinal photoreceptor cells continue to send neural impulses to our brain even after we’ve stopped looking at the image, resulting in the after image. These are caused by “unconscious inferences” that our brain makes when looking at certain objects. Different from literal illusions as the inferences we make aren’t actually there within the image itself. 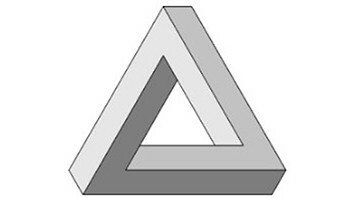 One of the most common cognitive illusions is Kanizsa’s Triangle, in which we see a bright white triangle when there actually isn’t one there. This is due to the contrast in colours and the angles of the Pac Man disks, leading our mind to create the white triangle in the middle. The main reason illusions occur in all instances is that our eyes see objects which our brain then organises. Aspects like shape, colour and size pop up naturally from our neural circuitry and influence what we see. These illusions then occur when this natural, unconscious process of organisation by our brain conflicts with our reasoning when we consciously look and take in the image. 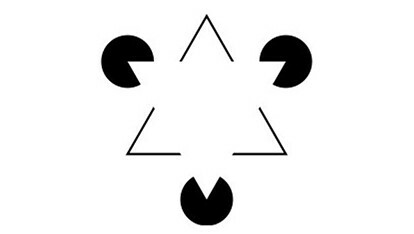 Taking Kanizsa’s Triangle for instance, our eyes conjure the image of the white triangle due to our neural circuitry, but the illusion comes into play when we consciously look at it and see that this triangle doesn’t have any distinct edges, hence the cognitive dissonance between what our brain infers and what we see. These illusions are natural and common, but there are some that can negatively affect you. If you experience intensive glare, constant light streaking or strong halos around certain objects, these visual illusions will need to be checked by professionals in order to determine whether or not they’re a warning sign of a more serious condition. Visual snow, floaters or even potential hallucinations can be caused by impaired sight, so ensure your eyesight is fine before opting in for any form of laser eye surgery!